Stimulates Sexual Drive and Performance! NutraKey's Tribulus Terrestris is a natural supplement made from the herb Tribulus Terrestris. It is rich in potent biological substances, including saponins, flavonoids, alkaloids, plant sterols, metabolites and more, which together are responsible for the many physiological effects of Tribulus. The newly updated Tribulus Terrestris Powder formula contains 40% saponins extract. 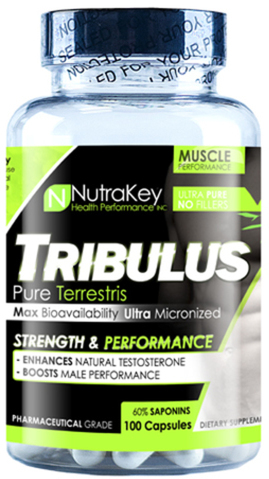 NutraKey's formula is also a more cost efficient Tribulus Terrestris product.